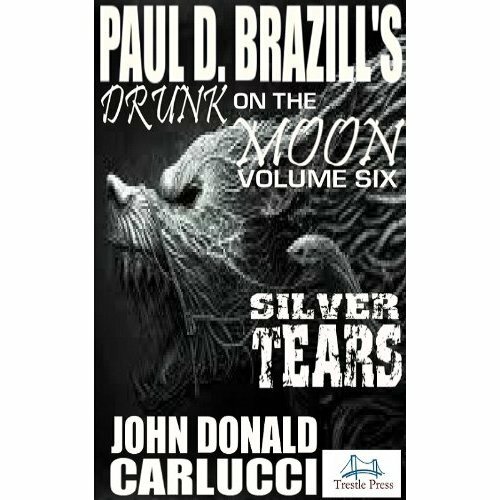 One of the things I am enjoying the most about the Drunk On The Moon series is the fresh perspective each author brings to each new instalment. 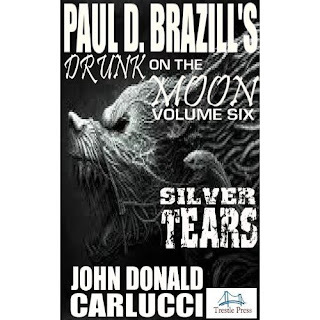 Carlucci's interpretation is an action packed tale that barely leaves the reader time to breathe before we are plunged with Roman into each gripping scene. Other writers for the series will have to go a long way to beat the opening line that I won't spoil for you here. Carlucci's hooks you faster than a politician fills up his expense account. It felt like a mini sun had exploded in my chest and I was ready to combust in the flames. The author provides us with a believable and credible reason for Roman's excess drinking. Regular readers of this blog will know I am a fan of this fantastic series. Carlucci has added another cracking instalment with style, flair and a little humour. We also see the introduction of another character in the form of a back street surgeon. As the series progresses we start to see Paul D. Brazill’s fantastic creation in fantastic high definition technicolor. Another must read short story.